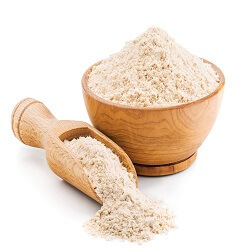 Yam Flour is a good source of energy; Its composed of complex carbohydrates and soluble dietary fiber. 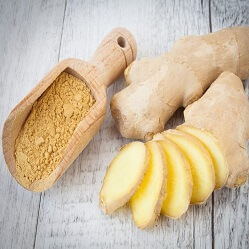 Dietary fiber help reduce constipation, decrease bad (LDL) cholesterol levels by binding to it in the intestines and lower colon cancer risk by preventing toxic compounds in the food from adhering to the colon mucosa. Additionally, being a good source of complex carbohydrate, it regulates steady rise in blood sugar levels. 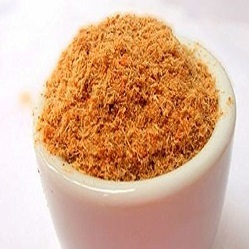 Yam Flour is an excellent source of B-complex group of vitamins. It provides adequate daily requirements of pyridoxine (vitamin B6), thiamin (vitamin B1), riboflavin, folates, pantothenic acid and niacin. These vitamins mediate various metabolic functions in the body. 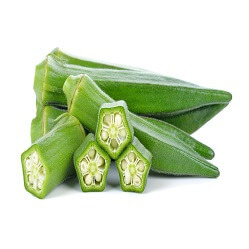 Also contains good amounts of anti-oxidant vitamin; vitamin-C. Provides about 29% of recommended levels per 100 g. Vitamin C play some important roles as anti-aging, immune function booster, wound healing, and bone growth. Yam Flour contains small amounts of vitamin-A, and beta-carotene levels. Carotenes convert into vitamin A inside the body. Both these compounds are strong antioxidants. Vitamin A has many functions like maintaining healthy mucus membranes and skin, night vision, growth and protection from lung and oral cavity cancers. Yam tuber –which the flour is made from- is one of the good sources of minerals such as copper, calcium, potassium, iron, manganese, and phosphorus. 100 g provides about 816 mg of Potassium. Potassium is an important component of cell and body fluids which helps controlling heart rate and blood pressure by countering hypertensive effects of sodium. Copper is required in the production of red blood cells. Manganese is used by the body as a co-factor for the antioxidant enzyme, superoxide dismutase. Iron is required for red blood cell formation. 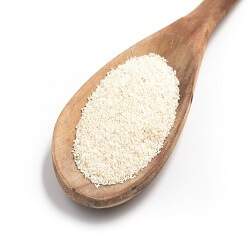 Yam flour is powdered starch widely used in food preparation. Typically white, the flour is commonly used in African dishes, such as Amala. It may be used in many other recipes if desired as well. 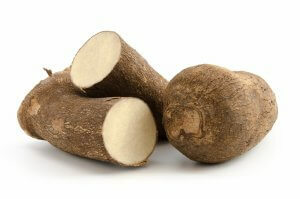 It is prepared by grinding dried yams until they reach a powdered consistency. Dehydrated flour from yams may also be produced from sun drying. Yam Flour is a good choice for gluten-free recipes. Use of this flour is known to create lighter, fluffier products as well. High in carbohydrates, the food also contains some fat and protein. A cholesterol-free ingredient, the flour also contains a small amount of sodium and sugar. Traditional Amala is prepared with just yam flour and water. The flour is boiled until a dough is formed. The dough is then simmered in a small amount of water and kneaded before being served with a type of stew, such as one made from traditional vegetables and meats or fish. Some people also utilize yam flour as a cheap base for dog treats or pet food. Animals with known wheat allergies may be fed with foods, such as dog cookies or biscuits, made with this type or other wheat-free flours. It’s use is primarily popular in home-made pet treats. Tasty cookies may be prepared with yam flour as well. The cookies may be prepared as any other sugar cookies, though milk is sometimes added to the recipe to prevent the flour from making the dough too dry.